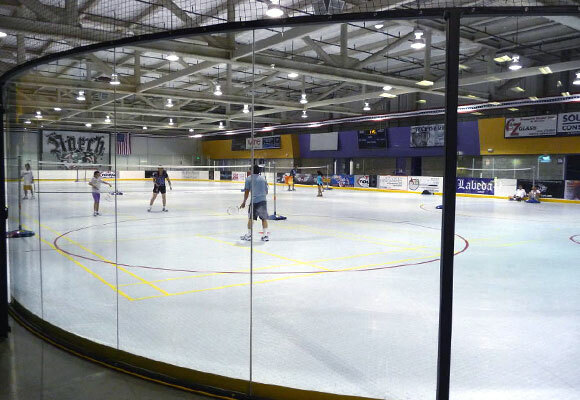 While our competitors offer multi-purpose surfacing that can be used for inline and roller hockey applications, VersaCourt offers unique court tile surfacing that is specifically engineered for inline and roller hockey applications. 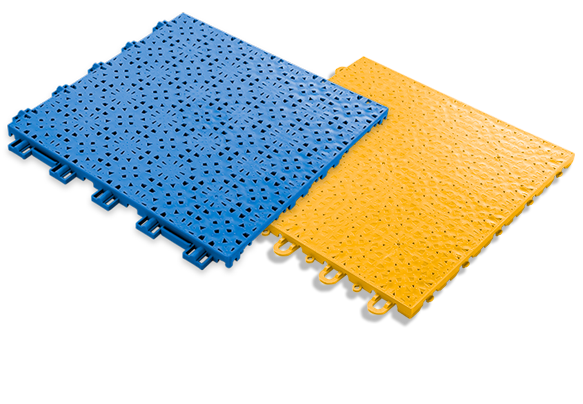 For both indoor and outdoor applications, the VersaCourt Speed product line is built with unique surface profile designs for enhanced skating performance, exceptional durability and perfect puck glide. In terms of performance, VersaCourt surfaces are in a league of their own. The special surface relief of VersaCourt Speed Indoor creates secure and smooth skate contact, allowing for quick acceleration, as well as enhanced maneuverability. While at cruising speed, your skates only touch the top surface with very low friction. For better cornering and stopping, your skates dig in to the lower surface profile for increased grip. We also offer special silicon-soaked panels within the goalkeeper's crease help goalies do fast side-slip maneuvers. The real magic occurs with our unique surface tile design. Each VersaCourt Speed Indoor tile features tiny raised pinheads on the surface, which elevate the puck slightly so that it glides as if it's on a sheet of ice. 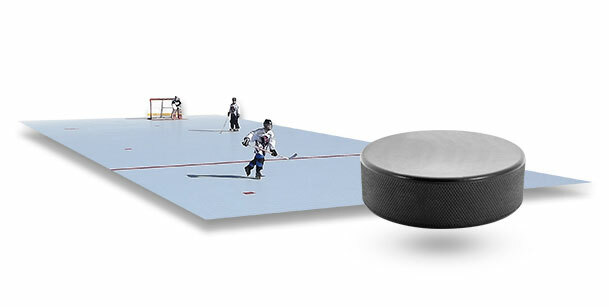 In addition, our unique surface perforation diffuses air pressure build-up underneath the puck, so that it does not lift or wobble during play. 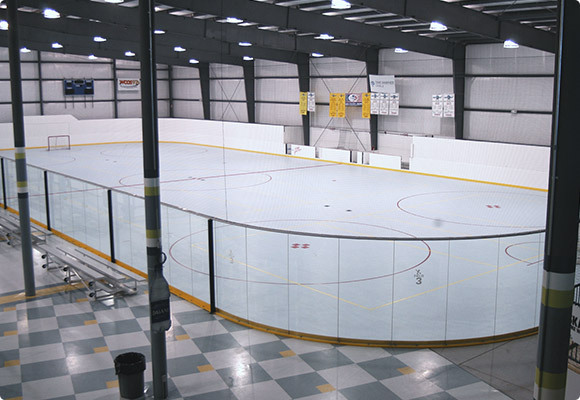 VersaCourt Speed Outdoor was specifically-designed for outdoor skating and inline hockey applications. The unique surface design of the Speed Outdoor tile allows for natural puck glide, and the precision locking system provides a smooth, monolithic skating surface with the best wheel grip in the industry. 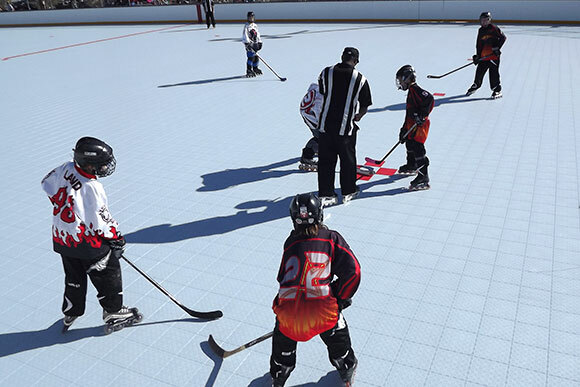 Speed Outdoor hockey rinks also feature quick drain and dry surface perforations and heat expansion joints, which make it an ideal surfacing solution for any weather environment. For multi-purpose facilities, our court design experts will work with you to develop a court solution that can accommodate a wide variety of sports and activities. We also offer a selection of game court accessories, including basketball goals and net systems to allow you to host all of your activities effectively.